The weather is now warming up and soil conditions are such that new plant shoots are appearing everywhere with a surge of new growth kick-starting the summer garden. Now is the time to set out young plants that you have bought from the garden centre or have grown on your own. It is also a great time to get the lawn sorted and fed, planting some colourful annuals, and to bring a bit of wildlife into the garden. Below is a guide to creating and maintaining the summer garden to make it the best it can be. Whether a garden is designed by an amateur or a professional there are certain principles that form the basis of effective garden designs. 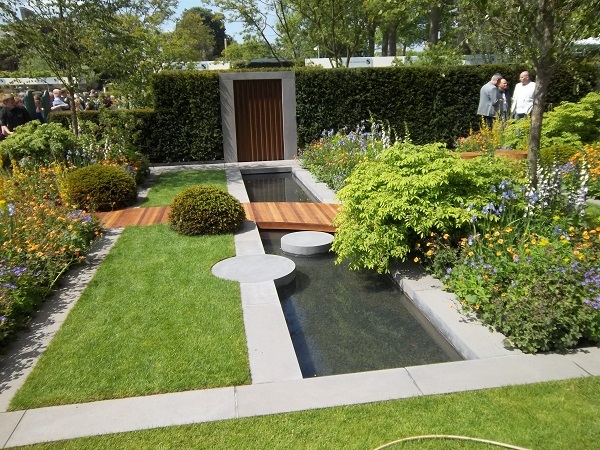 Garden design elements include the layout of the hard landscape (paths, walls, water features, decking, sitting areas, and the plants). Many formal gardens have low to medium height box hedges as a common characteristic. They are typically formed into geometric shapes that enclose an informal mix of plantings. This is a style that works well in both large and small gardens. During the winter it is the formal framework that ensures the garden remains looking stylish. This is due to the hedges, which hide the stems of pruned roses or other bare beds. The following hedging plants are suitable for local use: Abelia 'Francis Mason', coleonema, Duranta 'Sheena's Gold', and lavender. People in the UK are spending more and more of their leisure time in the garden. This means there are often valuable items within the sheds for use of garden upkeep or garden enjoyment. Police in all areas have said there is an increase in garden thefts from sheds. The thieves are attracted to the possibility of gaining easy access to unsecured sheds and the valuable property within. This is the time of year there is a slight increase in sheds and garages being broken into. The incidents which have been reported include items taken ranging from tools, cycles, fishing tackle, and even rotavators. These are expensive items to replace and the impact upon insurance premiums can be quite significant. Gardening groups around the UK are devoting their free time to helping others, growing together and creating a space for everyone in their local area to enjoy. The Green Fingers blog will always be dedicated to bringing gardeners and communities together and we think that the spirit these groups have shown deserves to be celebrated. 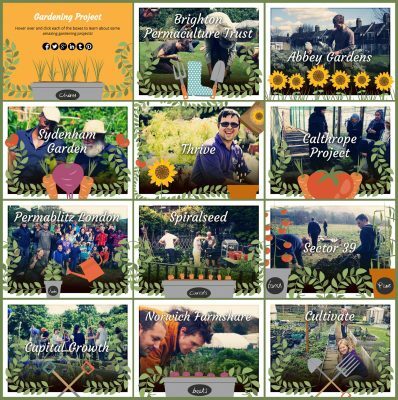 So to share with you a few of the amazing people and projects devoted to their communities, here's our collection of inspiring community gardening projects from 2015.